All cries that Mubarak should leave are dangerous and unpredictable. Egypt doesn’t seem like the best holiday destination at the moment. 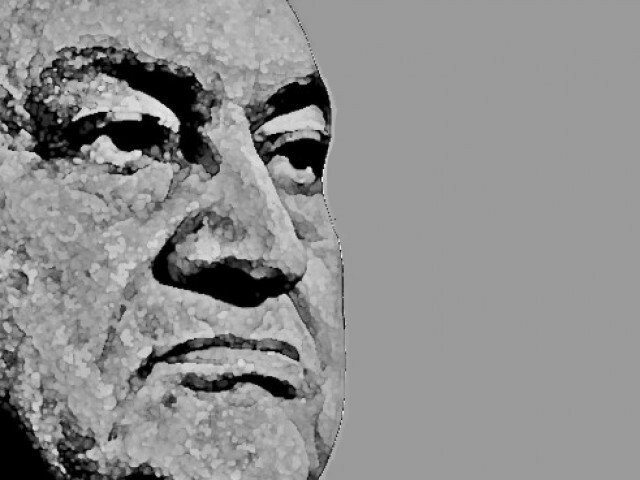 As thousands of energetic and idealistic youths throng the streets of Cairo and Alexandria, yearning for change and a better tomorrow, one would think Hosni Mubarak’s 30 years in power are coming to an end. And while this is a momentous opportunity to observe the vagaries of people’s power and mass demonstrations, of idealism and political change in the struggle for democracy, let’s not be fooled. Hosni Mubarak stepping down from the Egyptian presidency may just be the worst thing that could happen in these precarious times. While I’m certainly not a fan of octogenarian despots who leverage their military support to deny basic rights to their population, let’s not confuse idealism for stupidity. Yes, Mubarak in an ideal world should step down. But ideals are rarely the most rational choice. Yes, democracy should come to Egypt. But the ground realities suggest that morality must be ignored in the face of hard cold facts. Given Egypt’s tenuous political situation and immature democratic base, the winds of change that are gathering speed may just bring the whole house of cards tumbling down. My case is not founded on what is necessarily right but what is necessary. It is not a repudiation of democratic values but an argument for stability which I feel will help the greater good as opposed to merely selecting political leaders. Egypt’s inexperience with democracy, it’s geopolitical situation – vis a vis its neighbours as well as the strength of the Muslim brotherhood – make it a potential disaster if the government becomes destabilised and a power vacuum ensues after Mubarak exits. The country has never really succeeded with democracy. Since 1952, the land of the Pharaohs has been more or less been controlled by the military. Three leaders, Nasser, Sadat and now Mubarak have dominated the helm of politics. Often, this has led to disastrous results such as the 1967 war where Israel pre-emptively decimated the Egyptian air force and used that impetus to dominate the West Bank and East Jerusalem; repercussions which are still being felt today. Sadat’s tenure saw an unprecedented improvement in relations but his subsequent assassination demonstrated that there are more conservative voices looming in the shadows of Egypt. Since Mubarak took over from Sadat’s assassination in 1981, Egypt has been relatively stable. True, dissent has not been tolerated, corruption has been present and the government has failed to deliver on many issues. However, the government has been present and has provided stability despite the numerous obstacles it has faced. History teaches us that the immediate removal of a strong leader immediately engenders a state of anarchic chaos where rivals with strong factions vie for power. This alternative is truly more detrimental, no matter how you plead your case, than authoritarianism. The reality is that the forced removal of any strong leader inevitably creates a power vacuum which cannot be fulfilled by any one leader or party. More troubling is that Egypt’s constitution will need to be reformulated; the role of the army will need to be further clarified while the judiciary hangs in limbo, impotent unless the forces of might (the army) support a change for the positive. Political clamoring will ensue, interest groups will form, factions will break out and anarchy may ensue. There need to be a lot of rational, idealistic, like-minded individuals to execute this in a peaceful fashion before venal desires and tainted ambitions, the bane of human existence, take precedence. The fact remains, that unless there is a clearly identified succession path and a transition phase outlined, forcing Mubarak to step down may just open the dikes on a torrent of violence, instability and petty infighting. This situation is further exacerbated when you consider Egypt’s geopolitical situation. Across the Sinai, lies Israel. There can be no doubt that Egypt’s political deadlock and descent into anarchy will have far reaching implications. Intervention may be necessary, and just who exactly will intervene? Israel intervening will nurture blowback hitherto unfelt. Although the two countries are technically at peace with one another, the potential to inflate an already over-inflated Middle East crisis is not very attractive. At the same time, the United States cannot intervene either as lessons from the previous Bush administration have caused enough of a trust deficit in the Muslim world. So who steps in? Egypt’s neighbours? The sad reality is that neither Algeria, Tunisia, Morocco, Uganda or Somalia make for very compelling options. Worst still, are Libya or Sudan. There is the UN which is all talk with little action. There is also the African Union which is equally if not more contemptible. The alternatives therefore are best left out of this equation. The fact remains, if Egypt descends into chaos, how to salvage it? If Egypt’s self-implosion destabilises the region, how best to remedy it? There are few answers to this one. There rests in Egypt pockets of clandestine operatives, students and demagogues, individuals who have felt the government’s wrath for decades. Vice-regal dictators like Mubarak, despite all their faults, have prevented their country from descending into a theocracy. However, in the absence of such controls and the emergence of a democracy, the threat of Islamists remains a possibility. Iran is a prime example where the swift downfall of the Shah bought about an even swifter theocracy under Khomeini, despite the fact that the movement to remove the Shah emanated not from the Islamists but the same sort of people you see on your TV screens today in Cairo; the young, the idealistic, the hopeful and the passionate. As much as I would like to see Mubarak go, the sad reality remains that the greater good for Egypt and dare I say, the world, is if Mubarak stay until a more feasible solution for him to step down is formulated. Until then, all cries that Mubarak should leave are dangerous and unpredictable. A writer with a Bachelor's in Political Science & History and a Master's in Global Communications. He tweets at @hamzausman. Change is one of the hardest things to accept and digest. Putting it off only makes the transition harder. The author is guilty of pandering to authoratarianism in a supposed ”secular” ideal. This type of bonkers ”secular” thinking permeates much of the Muslim World. I completely agree and I wrote the very same things yesterday on my blog. Mubarak is not a perfect leader for a paradise but his regime kept Egypt among the top Arab countries when it comes to stability, peace in the Middle East, peace with Israel, co-operation with the West, and even the propagation of modern civilization, technologies, and Facebook that is being used by the current idealistic protesters. Those things make it likely that the situation without Mubarak and his power is likely to be worse for the West, for Israel, for peace, for co-existence of the civilizations, and for freedom of the citizens – including 10-20% of the Christians (copts) – than his political survival. Mubarak should be praised as one of the most sensible “old” leaders in similar countries. Moreover, the Islamists and other not-quite-acceptable groups remain the most coherent voices among the groups who dream about their power. Once the rallies disappear from the street, coherence and thirst for power will surely matter, so I have no reason to think that someone else than the Islamists, Marxists, and similar radical group will benefit from the chaos. I support what the author is trying to imply here. Arab world is not ready for democracy, at least, not right now. Removing Saddam Hussain was a big mistake, the current situation in Iraq proves the point. All the Arab dictators/despots, including Hosni Mubarak have been a source of stability and order for a long time. Disturbing the status quo, poses a danger of bearded fanatics capturing power, as it already happened in Iran decades ago. The mullhas of Iran proved no better than the autocratic Shah, in fact, they turned out to be even worse kind of oppressors. The unrealistic and foolish foreign policy of the mullhas has left Iran friendless in the world and in spite of the immense petro-wealth, it’s economy stands on the verge of bankruptcy today. What about the Iranians? When the brave Iranian dissidents marched on the streets the West was up in arms but when a similar sort of State like Egypt sees similar outpourings of dissent (much more than the Iranian situation), the West stays silent. Why? It has come to a critical point, that the West can no longer apply different standards to different countries. This is blatant hypocrisy, and it dehumanises the Egyptian people. The demonization of ”Islamists”, (there are liberals, democrats, pragmatic, theocratic, totalitarian and many types of Islamist parties), has been the great Orientalist myth to deny the Egyptian people basic dignity and human rights. What is that threat exactly? As far as I know ”Islamist” opposition is incredibly diverse and mainstream Islamism in Egypt is non-violent, democratic and adopts constitutional means. Mainstream Islamist opposition engages in social, charity and educational work. Whilst Mubarak buys his son flats in Knighsbridge, London.. There are things to be critical of, absolutely, I myself point out these contradictions and the danger of extremism (just see my article history for the ET blog). I think the author of this column has made it clear why ”secularists” in Pakistan just fail completely. Because they cannot engage and cannot even connect with their fellow countrymen. People want reform, they want sustainability, they want better living standards, they want rights and they want a say in how their country is run, not this euphemism of ”stability”. Let’s hope Western governments do not end up on the wrong side of history…..
Well if Indians are ready, with their caste system, and other hopelessly ant-democratic social practices revolving around caste, the prejudice of race and faith then surely Arab countries are. If we in Pakistan are ready for democracy with our hopelessly corrupt and autocratic political parties which are really just family businesses then surely the Arabs are! Geez I wonder why? Reading from your post, and the priorities that matter to you, perhaps you mean because they disagreed with you on matters of American foreign policy, a more just and humane stance towards Israel’s brutual occupation and that they want a relationship with the West which is based on equality, to quote President Obama (how ironic he was giving a speech in Cairo just a while back!) mutual respect that means they have ”no clue about politics”. So now the citizens of the world’s most dangerous country infested with almost every sort of problem will teach rationality to the oppressed Egyptians. If you don’t know how to fight for yourself , let the Egyptians do that. Let them have what they want. You arent the only nation that deserves democracy. Dude, do have any understanding of democracy at all? I don’t think so. Otherwise, you would never have called Pakistan ready for democracy, even with it’s corrupt leaders. Laughable logic indeed! Don’t you see thousands of Pakistanis marching in support of cold blooded murderer hailing him as a hero, bestowing him with heroic religious titles and showering rose petals. On the other hand, no one even flinches, when in the name of religion hundreds of innocent men, women and children are ripped to the shreds by the exploding human bombs. Minorities are booked under dreaded blasphemy law, even for throwing a business card in a bin. Wow! And you have gall to say your country is ready for democracy! If this is your ideal democracy, then, Egyptians better pray for Mubarak to stay in power. Dude, no democracy ever succeeded, without separating the religion from the state. If religion is allowed to interfere with the state, then, the result is a theocratic Iran or a chaotic Pakistan. That is why I said that the Arab world, in fact, the most of the Muslim world, is not yet ready for a true form of democracy, because a vast majority of muslims are not ready to treat religion as a personal matter. As for caste system is concerned, it has nothing to do with democracy. It is social problem which gets reformed with passage of time. Remember, even in the United States, racial segregation was legal as early as 1950s and 1960s, but, see, today a black man is a president of the US. Only democracies are capable of bringing such a miraculous change. Neeraj, dare i say that Pakistanis know the meaning of democracy much better than any Indian, because we have actually had to fight for it. Democracy for Pakistanis is a privilege, not a right. And if you look at the National and Provincial Assemblies right now, only 1.6% of seats are occupied by Islamist parties. They might be able to bring our 40,000 protesters to the streets, but they will never get more than a single digit percentage of votes when it comes to elections. No matter what happens in Pakistan, a JI backed candidate will never come to power, unlike AB Vajpayee in India, who was a BJP candidate. Yes, our treatment of minorities is heinous, and is among the million other things thats wrong with this country, but if you want to talk about unrest, then lets talk about the Samjhota Express blast, or better yet the Babri Masjid demolition and the Gujarat massacre. Or the possible sedition charges against Arundhati Roy for speaking the truth, or the countless deaths of activists in India for merely using the Freedom of Information law. India is obviously in better shape than Pakistan, but inequality in India is more than in Pakistan. Thats a fact, not my opinion. If the Egyptian people want to do this let them do it. It’s time people were in charge of their own destiny. Of course there will be mistakes along the way, but there their mistakes to make, not anyone else’s to fix. 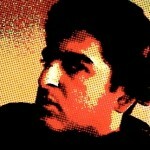 @Neeraj, India: I’m sorry to say this but your response reeks of arrogance. There was a time when the British too thought that the Indians were too uncivilized to govern themselves. It is a pity that India’s founding fathers fought against this dangerous idea only to have their own citizens spout it. Oh, really where is it? In the pockets of Gen. Kayani? Who never stops ‘briefing’ and ‘advising’ Pak politicians. Islamist parties? Aren’t PPP , PML(N), ‘Islamist’, enough? What more do you want? These ‘secular’ parties have already accepted Khadri as a Ghazi, haven’t they? Could you deny it? What do you mean by that? Are you comparing Vajpayee with the likes of Munavvar Hussain or Hafiz Saeed? The BJP is a most reputed Indian political entity, it has not only ruled India for whole six years, but, still is a ruling party in the several key Indian states and it is likely to come back to power at the center during the next elections to the Lok Sabha. “The BJP cannot be dubbed as an extremist Hindu party. It is a conservative party, which not only advocates small government, market driven economy, small states etc., but also stresses on the respect for the cultural values(hindu) of India. This kind of a party in not unique to India, but, in fact almost all the democratic countries in the world have their own kind of conservative parties. Take for example the Republican party of the US. The BJP, in many ways reminiscent of the Republican party. The US republicans are all for the christian values, they oppose abortion and are less tolerant of gays. In Europe, we find even more rabid conservatism. In France, the blatantly racist party the Front National came so close to power that, in 2002, it’s leader Jean Marie Le Pen finished second in presidential elections. Less said about Netherlands is better, because here society is badly divided between Catholics and Protestants and parties openly represent either of the two faiths. Worst, in recent elections ultra-rightist and anti-muslim politician Geert Wilders’ party won large number of parliamentary seats and became a key to the formation of the new government. Oh I forgot to explain the Samjhouta Express carnage. It was a heinous crime and no words of mine can express my shame/grief for the tragedy. But, you must remember that the crime was brought to light by the Indian intelligence agencies and on one else, therefore, you must give credit to the Indian democratic system for that. I am happy that the criminal Purohit and others are languishing in jails, awaiting justice. lol, by your rationale Sweden should be held responsible for two world wars, numerous other wars until today and the death of millions just because it’s citizen invented the dynamite. Just by calling your opinion as facts shows your rabid hate for India, and your indoctrination of the idea that no matter how bad my country is, it is always better than yours. Gujarat violence was 9 years ago, and there has’nt been a case of riots ever since. Babri Masjid was a mistake, and the only reason LK Advani is not a PM of India is because of his involvement in the same, moreover the recent court verdict gave proportional land share to hindus, muslims and nirmohis(who have got nothing to do with the temple). It looks muslims will support (dil se) revolt in countries which r perceived to be tilted towards WEST(read) and moderately secular like Tunisia, Egypt and Jordan. But when it comes to IRAN, they would rather not see happening the same. Probably no muslim would like to see a change of guard in Syria because it is perceived anti West(US). I suggest we ought to send Musharraf to Egypt to take Mubarak’s job, at least then he will leave us alone. Women in Iran enjoy complete freedom and equal rights, have you visited Iran lately? or ever? dont be prejudiced in your approach, you try to sound like one of them liberals, and yet in your Iran bashing you sound like a salafi. When I visited Iran a few years ago, there were two employees at the immigration counter, one of them was a woman, when I roamed the streets of Mashhad and Qum, I could see women in markets, mosques and shrines, just like in Karachi, only they were dressed differently. Yes they have to cover themselves up properly but the people of Iran chose it for themselves and a dominant majority is in support of the life style after revolution. In Iran they are self sufficient in agriculture and economy, they dont owe any debts to America or any other countries, Iran is much better off with the revolution and poses a great threat to Israel and other ‘brother’ Arab countries, who by the way are allies with Israel. Iran’s influence in Palestine is on the rise and Qatar and Jordan are soon to follow. Iran is the only true Muslim state in the world thanks to the revolution, and minorities enjoy equal rights there. Are you sure you wrote above lines with an open mind? Why don’t you look at the comment section again. You will find that in your first comment, directed at me, it was you who brought babri masjid, Gujarat, BJP, Samjhouta Express, Arundhati, invention of suicide bomber and of course the better understanding of democracy by Pakistanis etc..Even before you, another gentleman donning your name, with Ali attached to it, went even further and made India’s caste system a part of the debate. And still you have the audacity to accuse me of diverting the debate? Bravo man! Oh yea, you also got p****d off at the presence of Indians on the Pakistani websites, sounds like an another standard Pakistani complaint. But, you forgot to use an another favorite Pakistani ‘logic’, which is often used as some sort of an ‘ultimate weapon of defense’, India’s poverty! The Egyptian people worked together- men, women, Christians, Muslims- to take to the streets. They organized themselves to protect each others homes, made human walls to protect others who were praying, made human walls to protect their museum. The Christians protected the Muslims who were praying and the Muslims protected the Christians. The women guarded at night and let the men sleep. They picked up trash and sorted it for recycling. When Mubarak’s hired thugs entered Tahiri Square and tried to run over the protesters on horseback, the protesters pulled them off the horses and then tried to calm down the horses. They did all this while they were running low on food and money and their internet had been cut off and they couldn’t contact family and friends. They made an orderly line for access to the single water fountain in the square. We Pakistanis could learn a thing or two from the Egyptians, just from their solidarity. When outsiders decide to intervene and comment that the Egyptians don’t know what is best for them, it just sounds like very patronizing Fox News rhetoric. The author does not feel stupid at all. The title of this piece is not mine, it was changed by the editors of the Tribune Blog. Hence all the attacks at the word ‘rational’ are not a reflection at my work but a reflection of what happens when a writer’s original ideas are changed. I have a strong objection to any changes to my work so I hope the editors are reading this. Secondly, a lot of the feedback to the article is opinion, which I respect but others abound with negative criticism with neither supporting evidence nor a coherent argument. Some like Nadir or Asad Badruddin have provided a balanced perspective with a logical argument which I really appreciate. Then there are people like Mr. Ahmed Ali who are fiercely pushing their beliefs upon others whilst shamelessly promoting their own writing with links to their blogs. This is not the space for that. If your writing indeed had any merit then you wouldn’t need to guide people to your writing nor would you need to try so vociferously to push your opinions on others. You also claim that no one wants stability. The truth is my good friend, that without stability, none of the lovely things you want will be available. The point I’m trying to make to hotheads like you is that you need calm down and analyze the situation before you start spewing one diatribe after the next in order to make your point. If indeed you are so keen on democracy, then perhaps learning to accept others’ opinions and working toward the best one is better than championing ideals which have no use to anybody. Ironically, your attitude is no less tyrannical than Hosni Mubarak’s. Often, passion and ideals are mistaken for common sense when the reality suggests otherwise. It is unfortunate that many readers only read the title of this piece (which is not mine) and concluded I did not want Mubarak to step down. If you read my last paragraph, I too state that I want Mubarak to step down but not before steps are taken to ensure a stable transfer to power where democratic institutions are in place that can prevent any of the above-mentioned problems from taking place. Dude, the sentences you are attributing to me are not from my original post, you lifted them from my reply to Ahmad Ali who quite unnecessarily brought India and caste system etc. into the debate and you countered it by responding to my above reply and not to my original post, thereby indirectly ended up endorsing the views held by Ahmad Ali. Very well laid out counter argument. But when despots are so disconncted this is what happens. The normal people are in rage fighting for justice and dignity (not Islam); in the shadow of their sacrifice a more organized body like the muslim brotherhood may position itself to hijack the revolution (for Islam)- that is the fear. Not sure how you get around that at this stage of the game. Mubarak just has to go. Power to the Egyptian people, Period!